When purchasing a handbag, one quality obviously stands paramount to all others: Is it cute? But secondly, a woman must also ask herself this: Is it functional? One without the other makes for a less-than-optimal accessory; lucky for you, dear reader, we recently made a life-changing discovery that will shatter your preconceived notions about bags. Conventional wisdom would have us believe that when it comes to size, a larger bag tends to reign supreme. It assures you have plenty of room for all your knickknacks and won't have to try to carry too many items in a tightly squeezed space. But no. We have discovered that a large clutch is, in fact, the perfect bag size. 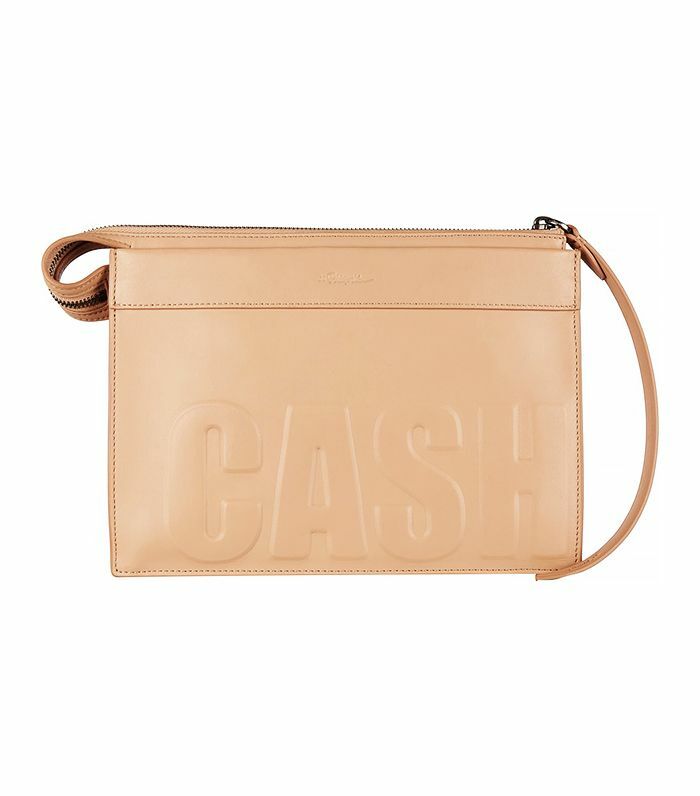 The purchase of this 3.1 Phillip Lim clutch (on sale!) is what convinced one editor (ahem, yours truly) that a bag with these dimensions is actually the ideal size for a handbag. You can fit a wallet, phone, keys, sunglasses, lipstick, and a compact mirror—or items of comparable sizes—with plenty of room to spare. But it's small enough to not break your back, and (bonus) it looks chic for day or night. Keep scrolling to shop the bag now, plus more bags of the same size! What do you think is the perfect-size bag? Share below!